This article will cover the MOST IMPORTANT information regarding the use of Flexeril in the treatment of opiate withdrawal. 3 How Does Flexeril Help With Opiate Withdrawal? Cyclobenzaprine, sold under the brand name Flexeril, is a skeletal muscle relaxant and central nervous system (CNS) depressant. Flexeril is prescribed for skeletal muscle conditions, including muscle strains and sprains, and severe back pain. Note: Flexeril is commonly used as an adjunct to rest and physical therapy for relief of muscle spasm associated with acute, painful musculoskeletal conditions. 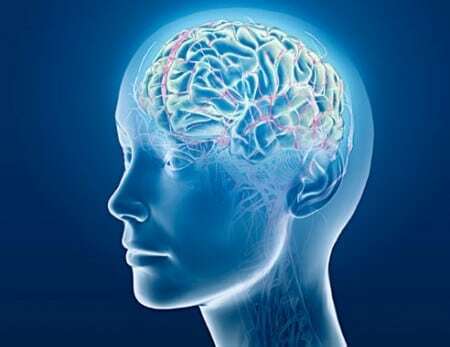 Flexeril acts on the locus coeruleus, which is a nucleus in the pons (part of the brainstem) involved with physiological responses to stress and panic. When an individual administers Flexeril, this results in increased norepinephrine release, potentially through the gamma fibers which innervate and inhibit the alpha motor neurons in the ventral horn of the spinal cord. Flexeril is structurally similar to Amitriptyline (a tricyclic antidepressant), differing by only one double bond. Note: Flexeril does not directly act on the neuromuscular junction or the muscle but relieves muscle spasms through a central action, possibly at the brainstem level. Flexeril also binds to the serotonin receptor and is considered a 5-HT2 receptor antagonist that reduces muscle tone by decreasing the activity of descending serotonergic neurons. How Does Flexeril Help With Opiate Withdrawal? In 2012, doctors wrote over 26 million prescriptions for Flexeril, making it a very popular medication. The off-label use of Flexeril as an opiate withdrawal aid is much less common, though it does have the ability to reduce symptoms in some users. Note: After reading many threads on various forums relating to the use of Flexeril for opiate withdrawal, some individuals stated it reduced their anxiety, insomnia, and muscle soreness, while others stated it significantly worsened their Restless Leg Syndrome (RLS). *Flexeril is an anticholinergic. Anticholinergic drugs can make RLS much worse for many people, and can even cause RLS in people who don’t normally have it. Opiate withdrawal is a horrific experience, and I wouldn’t wish it on my worst enemy. To reduce symptoms, medications often have the best results. If you want my honest opinion, you could do a lot better than using Flexeril for opiate withdrawal. The recommended Flexeril dosage for adults is 5 mg three times per day. However, based on the individual patient response, the dosage may be increased to 10 mg three times daily. Since acute opiate withdrawal induces significant anxiety, insomnia, and muscle soreness (among many other symptoms), most people would benefit from taking 10 mg at a time. Use the least amount of medication necessary to relieve withdrawal symptoms. Try to only use Flexiril for 3-4 days to help you get over the most severe part of acute withdrawal. Always use Flexeril under the supervision of a physician. Use of Flexeril for periods longer than 2-3 weeks is not recommended. Mixing Flexeril with alcohol or other CNS depressants creates a synergistic effect. Note: Many people have mixed Flexeril with alcohol or other relaxing substances and have ended up passing out. I realize insomnia is extremely severe during opiate withdrawal, so this may be the effect you are wishing for. While it’s horrible to consume alcohol during opiate withdrawal, other medications or natural supplements may be used under the care of your physician. Though I never used Flexeril for opiate withdrawal, I did have a few experiences with it, both prescribed and recreationally. When I was 26 I hurt my neck surfing, and my doctor prescribed me Flexeril and naproxen sodium. I quickly noticed that I wasn’t able to take Flexeril during the daytime if I had work because I would be WAY TOO TIRED. I was the manager of a busy restaurant, and I had to be very focused during lunch rushes. The second time I used Flexeril I was watching Sunday football at a friend’s house. We had plans to go play disc golf after the Chargers game, but out of nowhere the middle of my back felt strained. My friend told me to sit tight, he went to his bedroom for a minute, and when he returned to the living room he held out three pills for me. In his hand were Valium, Vicodin, and Flexeril. This was years before I became addicted to opiates, but I still loved to take pills recreationally at that point in my life. I felt like a kid at a candy store! I said “THANKS!” Then I quickly swallowed the pills. Within 30 minutes my back pain was nonexistent. We drove to the disc golf course, and I proceeded to play one of the best rounds of my life! A victory for Flexeril and other drugs. One night I smoked a bunch of meth around 8 pm. By 2 am, I wished I hadn’t have smoked it because now I was doomed to stay up all night. Like a complete idiot, I took ten Flexeril pills that were 5 mg each, for a grand total of 50 mg at once. Furthermore, I washed those pills down with 24 ounces of Budweiser. The good news was I got my wish and went to sleep shortly after, but for about 30 minutes before passing out I was experiencing scary visual hallucinations (a side effect from overdosing on Flexeril). By itself, Flexeril is not the greatest drug to abuse to get high. It can relax you and make you drowsy, but it’s not like you get this incredible high that becomes very addicting. However, many individuals abuse Flexeril by taking it with other drugs. For instance, after Whitney Houston drowned in her hotel bathtub February 11th, 2012, the Los Angeles coroner identified Flexeril in her body, along with cocaine, marijuana, Benadryl, and Xanax. The United States Drug Enforcement Agency lists Flexeril as “a drug of concern” and one that is frequently diverted from legitimate medical purposes to recreational use, and people who abuse it typically do so to enhance the effects of mind-altering drugs. Opiate Withdrawal Formula is an opiate withdrawal and tapering supplement that has gained enormous popularity since it first arrived on the market. It contains a concentrated, synergistic blend of herbs, amino acids, vitamins, minerals, and other nutrients that can reduce symptoms from coming off hydrocodone, oxycodone, morphine, heroin, Suboxone, methadone, and other opioid drugs. Flexeril is a prescription muscle relaxant and CNS depressant. Flexeril can be used to alleviate opiate withdrawal symptoms such as anxiety, insomnia, and sore muscles. Flexeril causes or worsens RLS in some individuals going through opiate withdrawal. Flexeril should be used under the supervision of a physician. Flexeril can become addictive, and if it’s taken for too long then stopped abruptly, a withdrawal syndrome can result. Flexeril has contraindications and side effects that are mandatory to know about before using it. Flexeril should only be taken for 3-4 days during acute opiate withdrawal, and for a maximum of 2-3 weeks. Flexeril is nowhere close to being the greatest medication for opiate withdrawal. 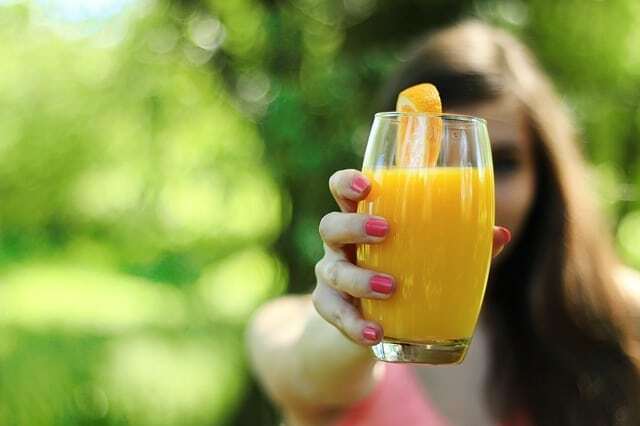 Click here now to view my best home detox program. If you have any questions on how to use Flexeril for opiate withdrawal, please post them in the comment box below and I will respond in a timely manner. Hi, I’m a Navy veteran That is wheelchair bound and have RSD spread throughout all four limbs. I recently experienced an unexpected change in PCM’s and went from my version of “the perfect doctor” to my version of a living nightmare. Someone who informed me of his intention to cut my medication by 90% three minutes after shaking my hand for the first time. I AM HORRIFIED. I once threw a tantrum and “decided” that I didn’t want to take any meds anymore and ended up in the er with suicidal ideations and more pain than my RSD had ever proven possible. My doc made me promise to trust her plan and never do that again… and then she disappeared. Complaining to the chain of command has only proven to blackball me as a drug seeker and am at a point of desperation. I know my doc felt taking medication I’m on was important while certain goals were reached but when every avenue is blocked, wishing I knew how to identify a drug dealer REALLY becomes the #1 thing on my list of regrets. Any guidance you can provide would be unbelievably appreciated. Luckily I have been off of heroin for 2 years but I’m on methadone. I’m currently on 24mgs of methadone and I’m slowly detoxing..
My doctor recently prescribed me flexril for TMJ. Is it safe for me to take flexril with methadone?? I don’t like how it’s making me feel nauseous. 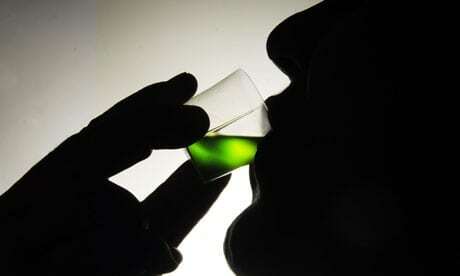 And, if it is ok for me to take it with methadone will it help me sleep at night? I’m to nervous to sleep right now because of the nauseousnes. I don’t know if it’s safe to take with methadone and it’s making me very nervous. I’ve been addicted to opiates, klonopin and suboxone for 6 years. In July I went away to rehab and came back in November and had a total of 120 days clean . The past two months I have been in relapse. It started with once every two weeks then once a week etc. but I wasn’t getting sick. The past month I started to use heavily again and started to feel withdrawal symptoms. I’m ready to quit again I hate this lifestyle so what I did was I bought an 8mg suboxone and slowly tapered down over the past week. I took my last dose yesterday and am hoping I won’t be too sick because I work in a school :(. I have some klonopin on hand to help me sleep in case I can’t tonight because I have to be at work in the morning but I don’t want to become addicted to klonopin either. Can somebody please give me advice as what to do and insight on how long you think I will be sick and how bad the symptoms will be from a month relapse on heroine. Also advice on whether or not I should take the klonopin and for how long. Please help ! I began taking tramadol for herniated disks in my back a few years ago 3 a day went to 6 a day then the max of 8 a day. Long story short I am now taking at least 30 of the 50mg tablets a day and I am desperate to get away from the stuff what would be my best option short of a stint I facility that I really can’t afford at this time. I have tried to quit on my own but the withdrawals are just unbearable any input would be appreciated. A couple good prescription medications for rls are Mirapex and Requip, if you have a Dr who can help you. Supplements that help build dopamine (dl-phenylalanine, l-tyrosine & l-dopa) can help combat rls too. 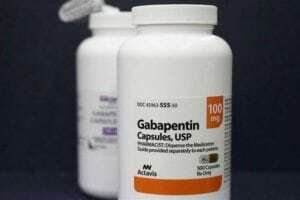 Gabapentin may be all you need to fight off rls. *DISCLAIMER – the use of any medications or supplements should be discussed with your Dr.
How does flexeril compare to baclofen during norco withdrawl? I have been on norco for9 years, up to my highest dose of 10 10’s a day before supposed to be weaning down and couldn’t do it. Now I have taken all my norco and am supposed to have more left as I’m supposed to be at 4 a day but already took them. I was also on flexeril for years and my doc changed it to baclofen during the weaning process. I find my muscles hurt more, my bones hurt, everything is just more intense. I miss my flexeril and have quite a bit left. Is it safe to take with the baclofen to get through this? There are studies showing good results using baclofen, however, I couldn’t find studies using Flexeril. Based on what I’ve read in forums, Flexeril works well for some people, while it makes RLS worse for others, and they say it was a bad idea for them to take it. Ask your doctor whether or not it’s safe to take baclofen with Flexeril. My Name is Beverly and I have been on oxycodone for 2years and want to get off.I have flexril and clonidine which would you say I use to help me stop. Why wouldn’t you use both? Clonidine in my opinion is more effective. My name is Phil and for many years I have been hooked on opiates. I have a very bad back injury and wake up every morning with acute pain in my lower lumbar. My doctors prescribed 120 10mg oxycodone for my back pain. Before I knew it, I was once again hooked. So I had them knock me down a notch to 120 10mg hydrocodone. Every single time I get my script I always take more than I should. When I near the end of my script I have severe restless leg syndrome and insomnia and anxiety. I also have a script of flexerill and am also on Xanax XR. If used properly it allows my back to relax and my restless legs don’t keep me from sleeping. I have another back surgery scheduled for the 9th of may. And once again my pain meds will be dispensed once again. However this time I am having them knock me down to just 5mgs. Then after that cut the script in half then down to just 30 per month. I will continue to use the flexerill to allow me to sleep.. I don’t over do it on the flexerill. I really don’t care for them but they do get me thru til my next pain script is filled. However knowing this helps to alleviate opiate withdrawal I will only take one pain pill when needed then the flexerill when my back doesn’t feel so bad. I have already knocked my Mgs of hydrocodone down on my own. I broke every single one I have in half. As long as I continue to knock it down more and more and back off of the flexerill when I can finally sleep without the restless legs and insomnia, I want nothing more to do with opiates. Personally with my history of opiate abuse and constantly running out. I’m sick and tired of the withdrawals… I can only pray that I stick to my plan. Opiates have ruined so much in my life that I finally want to back away….!!! I would much rather smoke a little bit of (Herb) and take a flexerill and get some sleep. Once I know I’m in the clear then I know I will have no problem stepping away from flexerill. I think this is why I can make a bottle of flexerill last me more than just a couple of months. I don’t like the Charlie horses I get during the day if I take one. Only needed at night to sleep soundly. So I can say from my own experience they do help with opiate withdrawals… I was curious as to why I wasn’t having restless leg syndrome when I was out of pain meds and used flexerill. Now I know what I wanted to know. This makes it so much easier. But a word of advice. Once the opiate withdrawals are gone and You can finally rest without them. Then put them away and start to excersize regularly… But don’t over do it.